When using the vMix encoder, do you see the following screen appear? 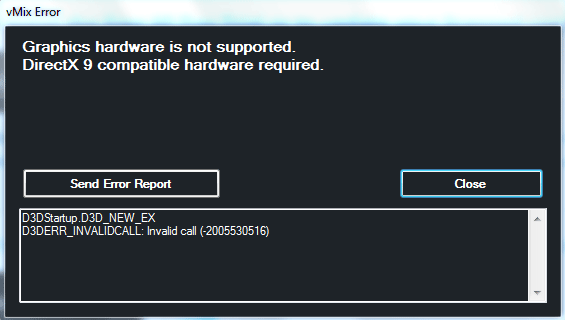 Specifically, do you see a message that says that “DirectX9 compatible hardware” is required? If you’re still not able to resolve the issue yourself, don’t hesitate to get in touch so that DaCast can provide further support! Do not hesitate to ask us if any question arises!